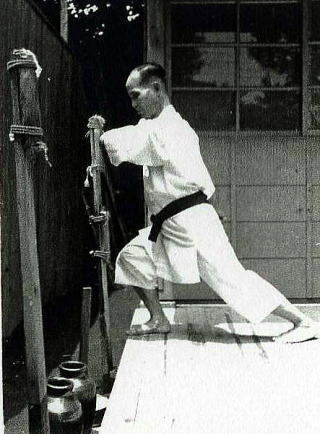 Toyama Kanken taught Okinawa Seito Karatedo at his dojo called the Shudokan inTokyo. 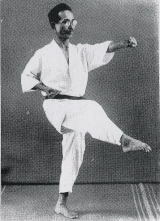 It is unclear if anyone learned Nahate style Karate from Toyama Kanken. 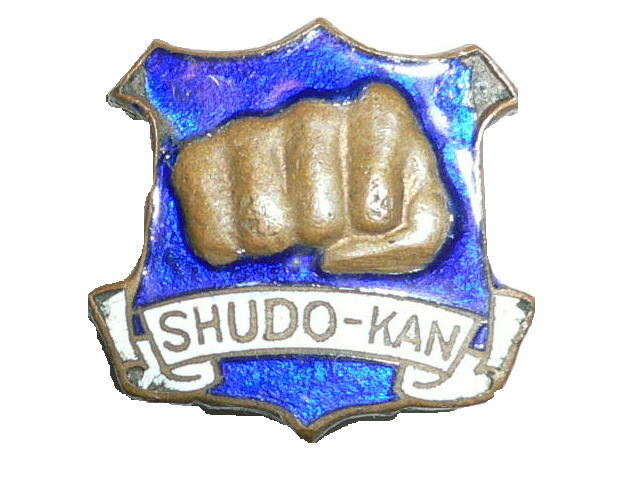 Toyama Kanken was born in Okinawa, in the city of Shuri, on September 24,1888. 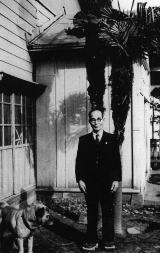 Toyama Kanken studied under Itosu Anko, Higaonna Kanryo, and Itarashiki Choiku. 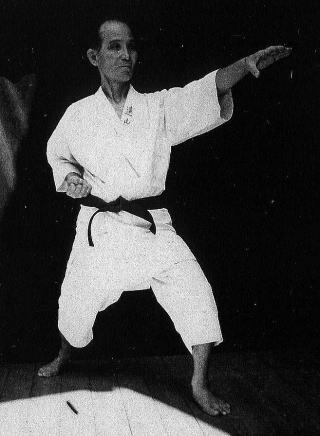 Toyama Kanken studied under many great masters and truly undrestood the essence and secrets of Karate. 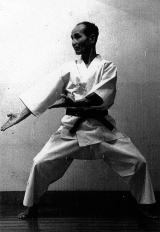 Toyama Kanken acted as an assistant instructor for Itosu Anko at the Okinawa Shihan School. Furthermore, Toyama learned Bojutsu and Saijutsu from Oshiro(not to be confused with Oshiro Chojo：refer to the book written by Motobu Choki), Tana(This teacher's identity is still uncertain because of lack of documentation) and Chibana Chosho. In 1924,Toyama moved to Taiwan. 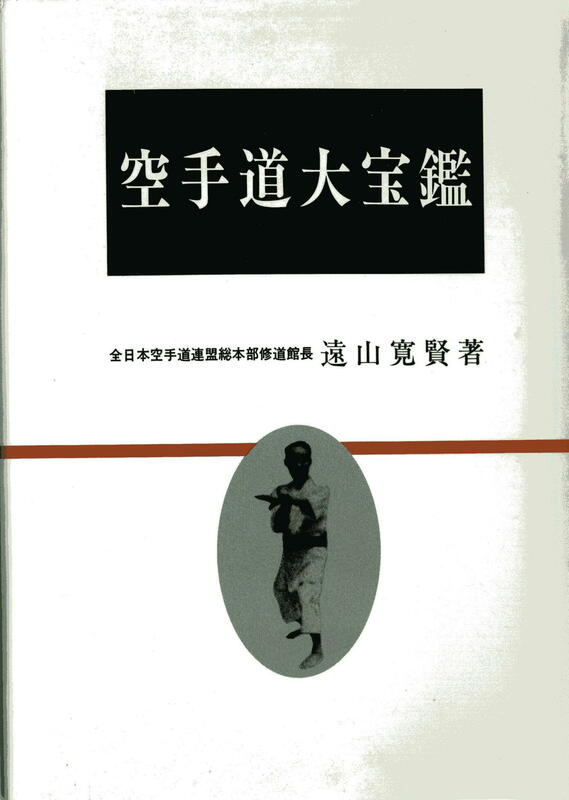 In Taiwan, Toyama studied Shina Kenpo with Chin Busai and Rin Kendo. 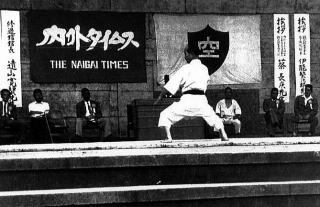 In 1931, Toyama moved to Tokyo on the Japanese main land and founded the Shudokan Dojo in front of Asakusa Ishihama elementary school. 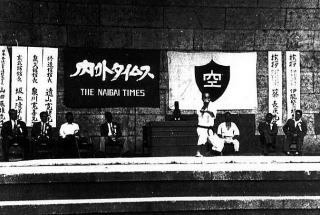 After some time, Toyama moved the dojo to Meguro in Tokyo and re-established the Shudokan dojo. 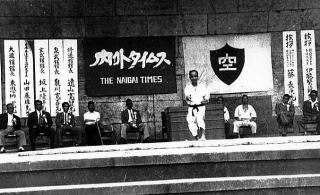 Toyama devoted himself to spreading the art of Okinawa Seito Karatedo to the world until he died at the age of 78 in November, 1966. 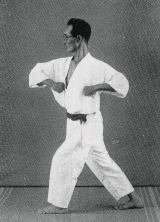 The Kata Koryu Gojushiho was Toyama Sensei's specialty. 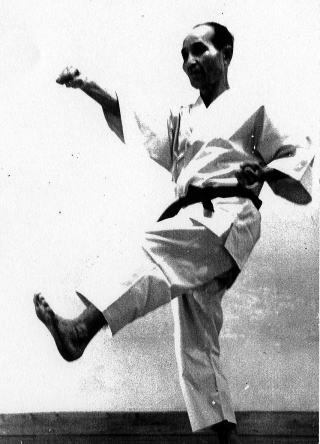 Life is like Karatedo, if you try, you will definitely reach the way. I will never forget these words by Toyama Sensei. 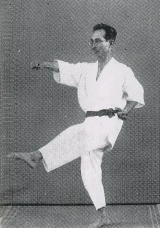 The Shudokan dojo in Tokyo was inherited by Toyama's son, Hatoyama Hiroshi. But the dojo has been closed for many years. These three pictures were taken when Toyama was around 45 years old. His name at that time was Oyadomari Kanken. 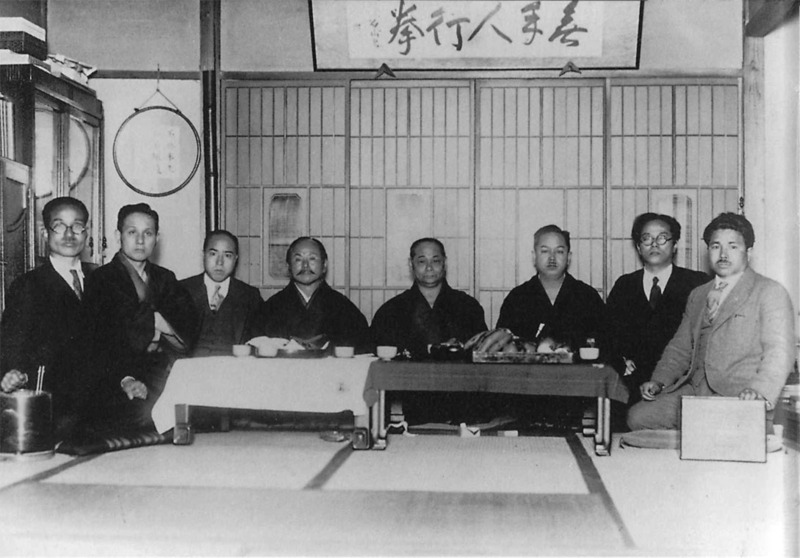 This is a 1930's era picture of a meeting of great karate masters in Tokyo. 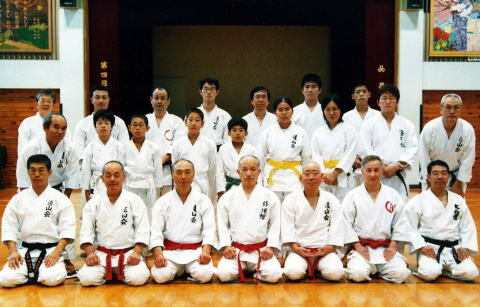 The people wearing red belts were students at the Shudokan dojo in Meguro, Tokyo.